Our evening presentation, “The Genetti Family of Castelfondo: Our Journey to America”, is now available as a professionally edited DVD. If you missed Reunion 2016 or would like a unique Christmas gift, this DVD is the perfect solution! Place your order with Bill Genetti – but hurry because quantities are limited. The price for this beautifully packaged presentation is $15 (includes shipping) if purchased before Dec. 15th, 2016. After Dec. 15th the price will increase to $20 (includes shipping) until all DVDs of this limited edition have been purchased. 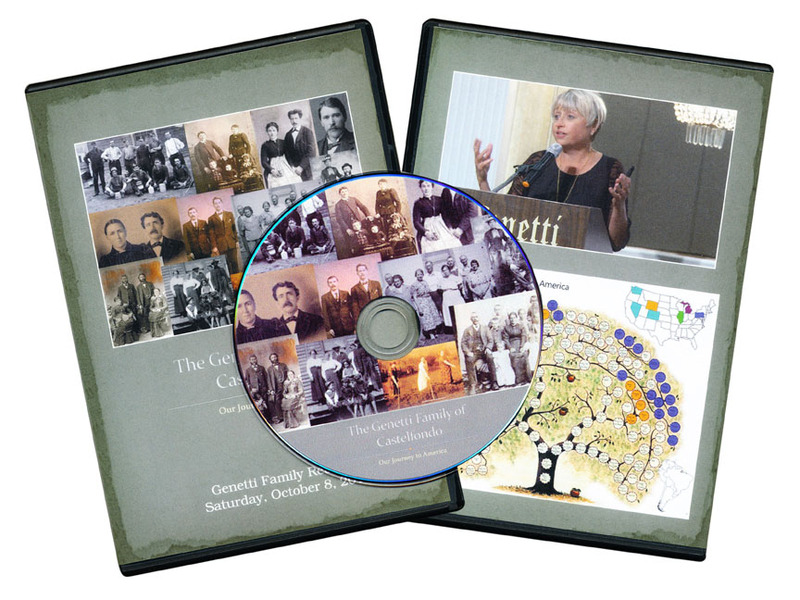 Our presentation DVD is also listed for sale in the Genetti Family Shop and on our Reunion Page. Initial sales of DVDs will cover production costs. Any additional sales will go directly into the Genetti Reunion Fund to be used for our next reunion. Have questions, contact Bill at: wegenetti@gmail.com. As a genealogist, I get excited about dates and stats. But nothing thrills me more than finding a memoir or letter written by an ancestor. These bits of history allow a personal glimpse into the life and times of a family member. On my last visit back to Pennsylvania, I was fortunate to be gifted a box of memories by my Uncle Leon Genetti. It proved to be a cache of information, transporting me back decades into my personal family line. I am now in the process of sorting and scanning documents before returning this “time capsule” back to my uncle. The amount of historical information I have found is incredible, yielding several stories I will tell you in future blog posts. The first bit of Genetti memorabilia I’d like to share with you are two letters penned by my great-grandfather Damiano Genetti, sent to his son Stanley (Costante) Genetti. 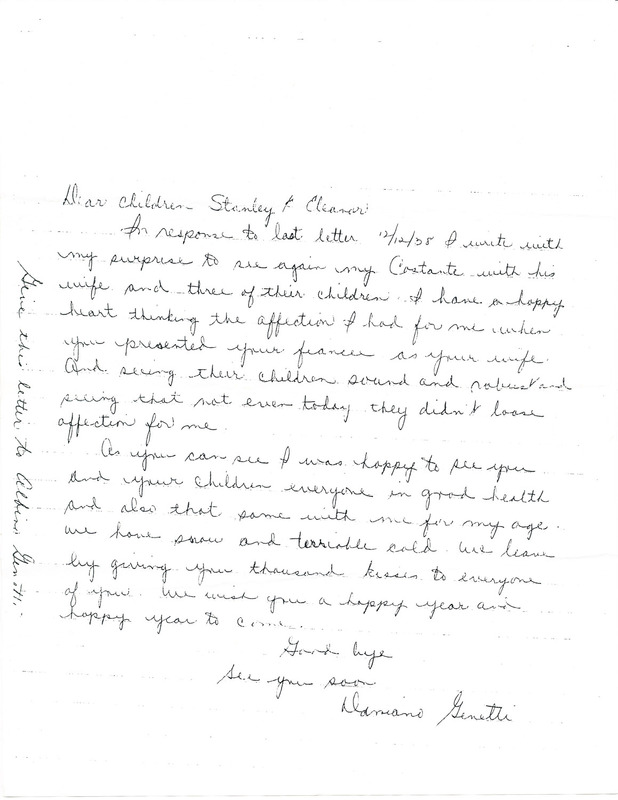 The letters were written in December of 1938 and August of 1939, sent from Castelfondo, Italy. A little back history about Damiano – he returns to his native village in the Val di Non (Trentino, Italy) around 1922, without his family. 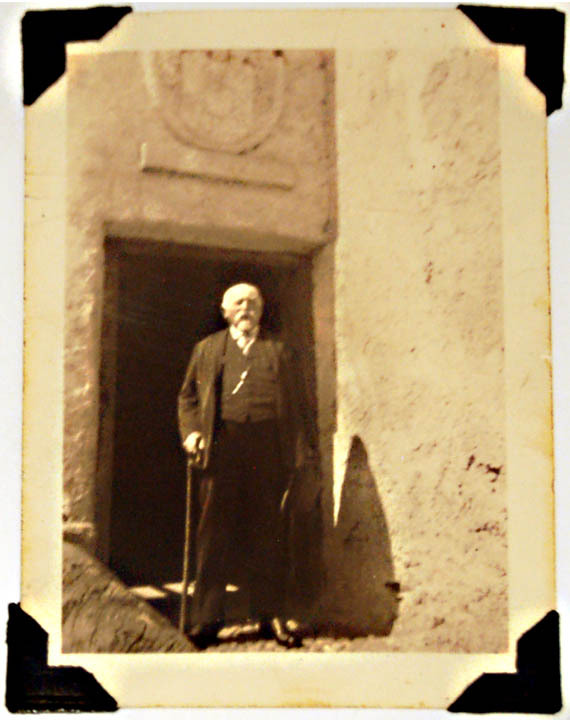 He lives in Castelfondo for the next twenty-two years, until his death in December of 1944. During this time World War II breaks out (Sept. 1939 – Sept. 1945). The northern province of Trentino/Alto Adige is caught in the middle between German and Italian forces. It is significant to note that Damiano’s wife, Oliva Zambotti Genetti, passes away in August of 1938. The second letter discusses Damiano paying for masses to be said in the memory of Oliva. Another known fact to consider is that by 1939, Damiano is making plans to return to America, but is unable to leave due to the declaration of war in Europe. Now back to our letters! After inspecting the documents, it’s obvious that the original letters were penned in dialect or Italian and later translated into English by someone familiar with the Tyrolean tongue. We can tell this from the unusual sentence syntax. Also, the signature at the bottom of both letters, does not match other documents personally signed by Damiano. From these observations we can conclude that the letters were received by one member of the family (in this case Damiano’s son Stanley) then translated, copied and distributed to other family members. 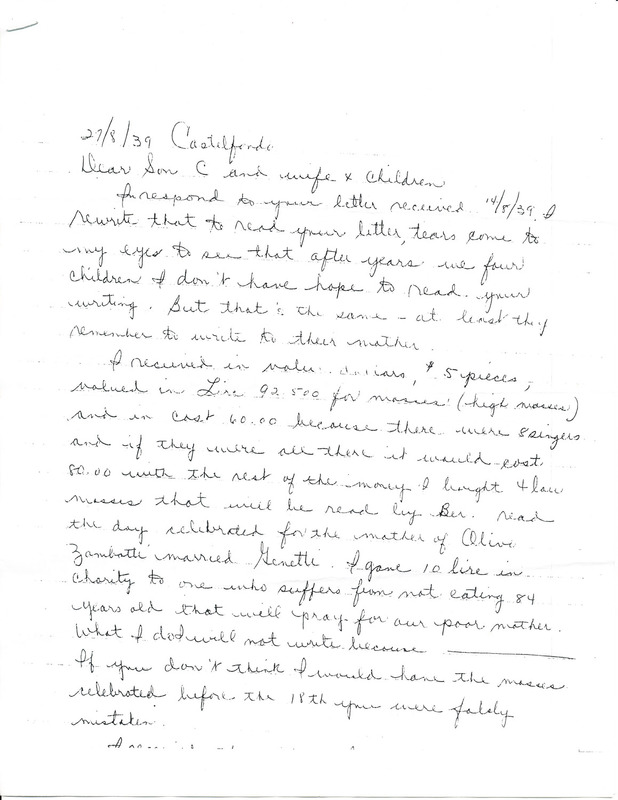 We can also conclude from the mention of past letters, that Damiano wrote to his children on a fairly frequent basis and was concerned with their welfare. Wow! Damiano was writing to his family on the very brink of war! I felt many emotions reading his letters – sadness, loneliness, affection for his children, a resignation of his position in life. Damiano’s words resonated through the decades, speaking volumes. Since I was born thirteen years after his death, I can only go by the description others have told me of my great-grandfather: stubborn and determined, intelligent and scrupulous, caring and generous, a humanitarian yet distant and detached from his family. Perhaps Damiano’s words will give you a new perspective of an ancestor who lived many different lives (husband, father, mining superintendent, Calvary officer, businessman, traveler, mayor, herbalist).For these are personal letters from a man who lived a complicated life. It is an honor to share them with you now. Do you have ancestor letters tucked away in your basement or attic? Why not share them with the Genetti Genealogy Project. Write me at info.genetti.family@gmail.com. 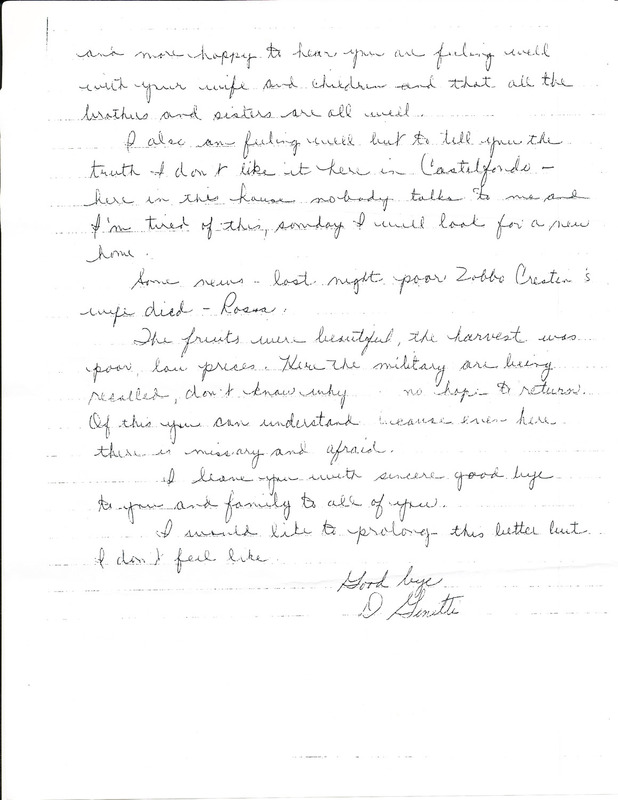 Each letter will be added to your ancestor’s digital file in the Genetti Archive we are in the process of compiling. See more photos of Damiano Genetti on our website Photograph Page. Read Damiano’s obituary on our Tributes Page.